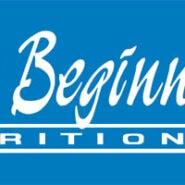 Purchase this product now and earn 1,795 Reward Points! 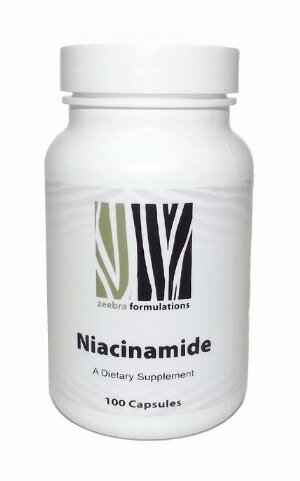 Niacinamide (nicotinamid) is one of the two principal forms of the B-complex niacin. Also known as vitamin B3, it comes in two basic forms: niacin (also called nicotinic acid) and niacinamide (also called nicotinamide). 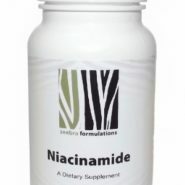 Niacinamide is the biologically active form of niacin that plays an important role in the production of ATP (the major source of cellular energy) and does not cause a niacin flush. Suggested Dosage: Take 1 capsule daily or as suggested by your health care practitioner. This product contains NO yeast, wheat, gluten, soy protein, milk/dairy, corn, sugar, sodium, starch, artificial colors, preservatives or flavoring.